Czarter bez patentu Mazury - Nautiner 38 Classic - wynajmij luksusowy jacht bez patentu! The Masuria is still unexplored land, which can show you something new in several time. Lots of lakes and forests draw sailors here. We tender yacht charter for everyone. 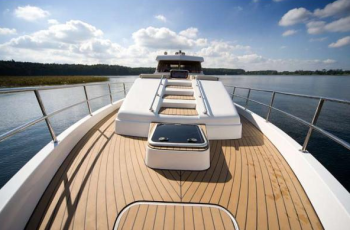 You can charter our motor yacht, which you can steer without a licence. 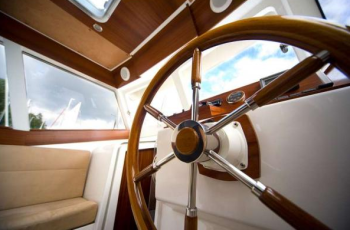 We charter Houseboat yacht, Nautiner 38 Classic, it is the boat which combine comfort and style. Specious Yacht can give you unforgettable rest for you and your familly. 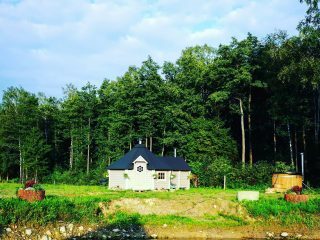 If the beauty of Masuria captived you and you would like to spend your holiday in here, mazury-czarter is a good choice. Leap at the chance and charter luxury houseboat. Our team will help you in every step of reservasion and holiday. 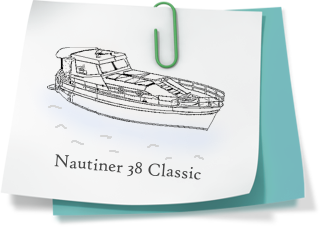 Nautiner 38 Classic is the specious and static motor yacht. Three lockup cabins, one on the prow, and two on the stern is the guarantee of comfort for eight people. Belowdeck is the mess which can be a wonderfull place when you can’t stand the heat. In the mess you can find whole kitchen equipment and TV. Ablutions on the boat – that’s what make the different between our Houseboat and the other motor yachts. You have got a possibility to warm up whole boat, so that’s why you can charter our Houseboat from the early spring to the late autumn. On the prow is a place for tanning and on the other side of boat is a landing which can help you swimming on the lake. Houseboat contains everything to make your rest and holiday comfortable for 8 person, with maximum safe on lakes. We respect your rest, safe and offer you great option to yacht charter! 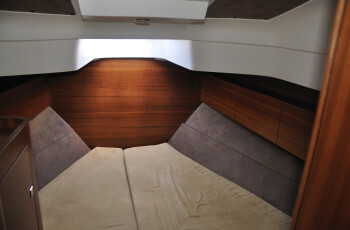 The motor boat contains 3 locked cabins with 1 open space. 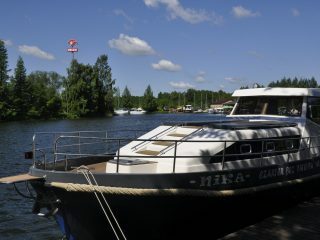 Nautiner is the best motor boat for rent in Masuria. It’s not neccesary to have sailing licence. The boat is easy to use so it can makes your rest nicer. Charter luxury houseboat, yacht without licence. You can end Or begin your charter flight In every port of Great Lakes. Warning!Depending on the length and the time charter rates are subject to change. 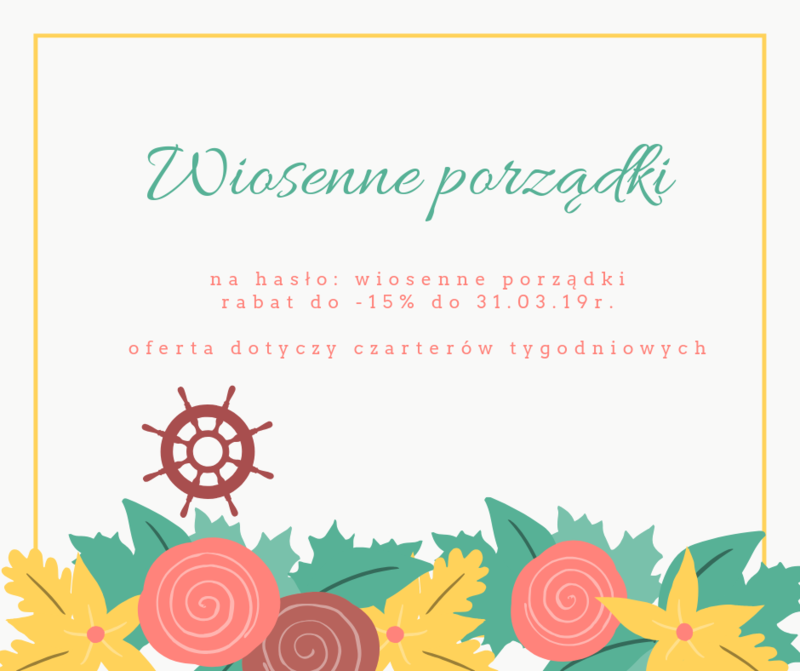 Refundable deposit in the amount of 2000 PLN payable when issuing the boat, and settled at the end of the charter. 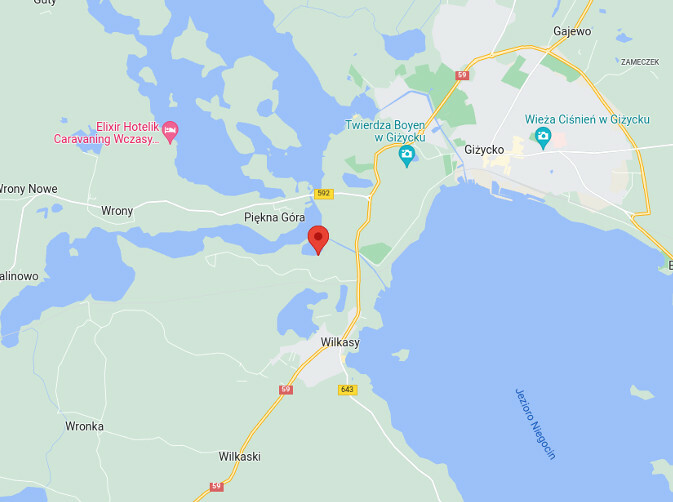 PLAN YOUR REST ON MASURIAN LAKES WITH MAZURY-CZARTER.COM! If you are interested in our offer contact with us! You can use our website mazury-czarter.com. If you have got any questions or attentions leave an email or call us. The boat is stationed in the Scout Centre for Water “Mamry” ZHP Banner Warmia and Mazury in Węgorzewo.